I would be surprised. Launching this would cannibalize the Milestone XT720, which is a good seller. And there would be little difference between the two except for the XT720’s smaller screen and slower processor. There could be a significant price difference between the xt720 and the milestone x. THIS new is fake…. i can bet on milestoneX or a GSM Droid X anywhere in the world before 2011….. The Motoroi X has been announced in Mexico. It is the same thing. Plus, don’t forget the ‘unconfirmed’ pary of the story. We are not claiming it WILL be launched, what we are saying is it CAN be launched. There’s a difference, mate. aww my innocent friend… Motoroi is CDMA…. This phone is CDMA and locked to “Grupo Iusacell” this site is in spanish i used google translate to read it…. 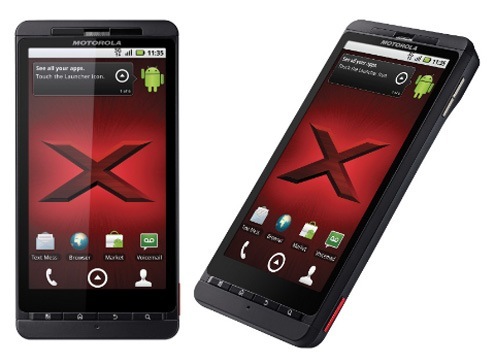 both droid x and droid 2 are going to be launched in the name of motorola x and motorola 2 . they wil first hit europe and are goin to be sold under vodafone n den dey will release in Singapore and India . So dese gr8 phones are gona be coming out prety soon ..
Like i said….. No droid X this month…. News was fake…. i m really fed up with u r PRODUCT ,because u don’t have any idea what costumer is waiting for ………..tell me when can we get Motorola droid x in India at least launch it ,and don’t say that it is a cdma cell ??????????? ?